If I know nothing else, I know lashes. I've worn a ridiculously amount of false eyelashes in the past five or six years. It's just my thing. My 'lash of choice' is Eylure Naturalites in number 116, they're stunning and just look like perfect mascara. I will happily use the glue supplied which, to me, it like PVA glue as it's tacky and allows the lash to peel off easily at the end of the night. Unfortunately I didn't have any of the Eylure glue left so I decided to branch out and try one that you buy separately. 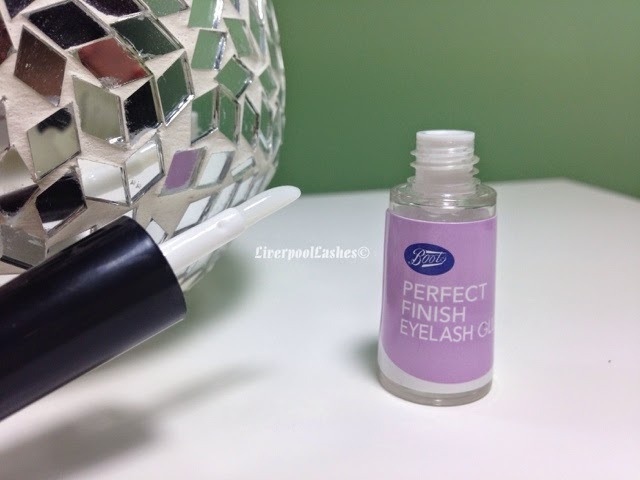 I found Boots Perfect Finish Eyelash Glue and decided to try it as it was only £2. I like the applicator as it's just a nib in the lid of the bottle so it's not fiddly at all. The application to my lashes was fine, although I did notice that the glue was a little stringy so I have no idea what it will be like once it's been opened for a while. 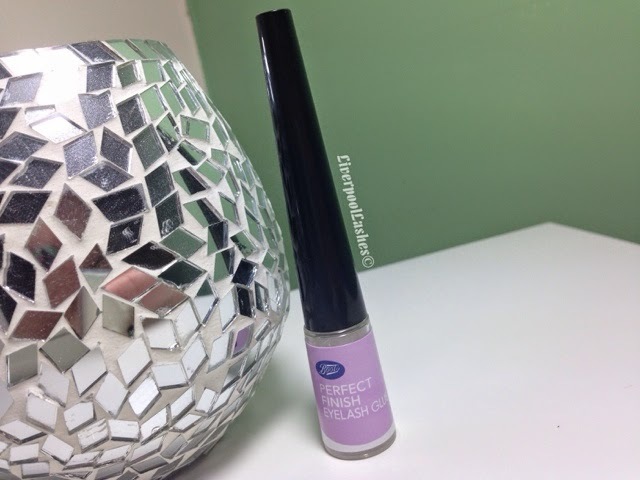 My biggest issue is although it stuck my lashes on, it seems that this glue is too brittle. One false move and the corner just comes away from the lash line, with the slightly pull my eyelash broke away from my lid. There really isn't much more to say, it's just not strong enough to be able to trust it which is a massive thumbs down.